Every web developer and web designer who creates an intriguing website knows the importance of a veracious set of reusable and editable UI elements. A good user interface determines the success of a website. Being a website owner, you should provide the effective user interface; otherwise you may lose potential customers. For instance, if you are having a good quality of content on your site but the UI is not engaging, then your viewer will evade it. You can also check out the difference between UI Design and UX Design article we published recently. It should be balanced properly in terms of graphics and content. Therefore, it is imperative for you to design a compelling user interface that can attract more of visitors towards your WP website. Design a UI involves creativity, freshness and capability that you can be used to communicate with your clients. With the help of innovative and creative ideas, you can create the simple yet result-oriented UI for your Site. You might have seen most of the website and application user interface highlight links in the form of text. It can be irritating for the potential users and becomes even more difficult when they are accessing a site on their mobile phone that’s having a small screen. In order to boost the user experience, it is important to add padding to the link. In fact, you can create the link as a block section, as this can curtail chances of removing the clickable portions. Block sections are perfect for sidebars while padded links are flexible to use within the text. As a web designer, you should align all labels properly within their actual place as the web user’s access buttons and tabs every time. However, labels positioned too low or too high or placed too much to one side can discourage the user’s interest. You can use contrast to turn attention to certain bodies of your content. Avoid coloring all text in the same hue as it could become difficult to convey important information to the web user. For example, a blog contains a title, images, author bio, and date. All these text elements should have a different color shade as per their importance into the post. Try to design the User Interface that can allow the user to find the particular thing what they are looking for within a short time span. Use an appealing color to highlight the specific word/sentence/phrase with an objective to grab the interest of targeted readers. For example, if you have introduced the new service to your website; then you should highlight that particular service with an appropriate color. It can help the readers to grab that word or intended message quickly with ease. You can use the tracking or letter spacing element, in order to adjust the spacing on your headlines. This function can make your heading more engaging and appealing. Generate automatic input field feature to facilitate the web users. Google is one of the popular websites that uses this feature. Therefore, the users don’t have to click to input. Most often, custom input fields are simple and this can distract the viewer’s attention. By adding more styling can make them attractive and engaging. Elements such as buttons, headlines, navigation bars and other things should attract the viewers. As we know, space bridges a relationship. And in the body of content, the title should be close to the body of an article and the spacing between the rows should be tight to display distinct paragraphs. You can use white space to define blocks of content properly to the users. Designing a perfect User Interface is one of the primary responsibilities of a web developer. A site that provides appropriate UI experience can enhance your productivity by engaging more and more visitors to your site. The innovative ideas mentioned in a blog will certainly help you to achieve the desired goals quickly. 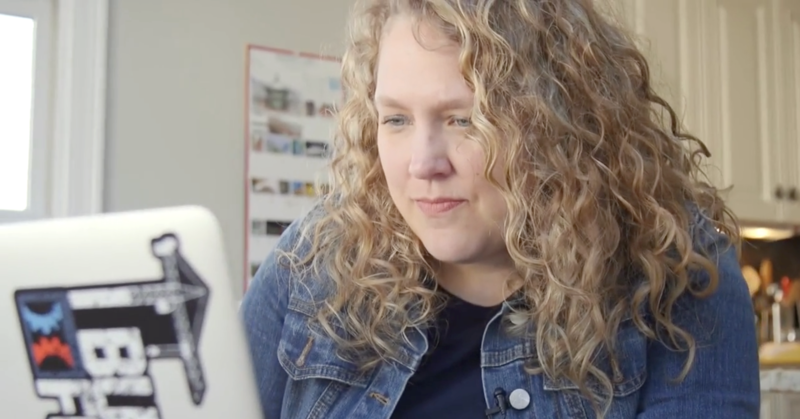 Contributor Bio: Lucy Barret is an expert when it comes to handling HTML to Responsive WordPress conversion projects. She works for WPGeeks Ltd. as a Sr. WordPress Developer and handles a team of developers who are working hard to achieve 100% client satisfaction. Nice article. 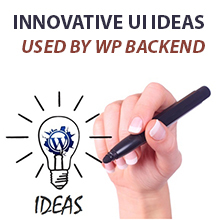 The points which holds the eight different ideas helps to know the UI design and development. Thanks for sharing. Great blog.Your ideas for UI is very worth to read and helpful to me.Thanks for sharing the information.